UPDATE: The suspect has been arrested and the lockdown has been lifted. Baylor University in Waco, Texas, has been put on lockdown because police are searching for a dangerous suspect, school officials say. Only few details have been released. 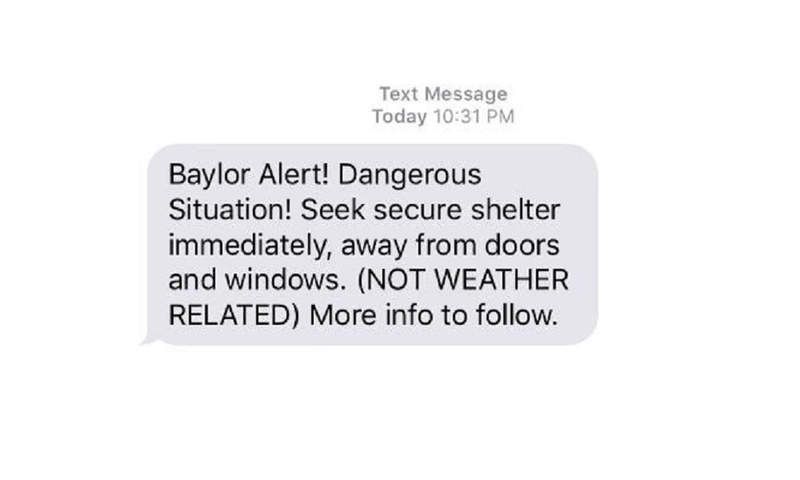 The university said in a Baylor Alert sent to students at 10:31 p.m. on Thursday that there is a “dangerous situation” on campus. The initial alert provided no information about what happened. About 20 minutes later, the university confirmed that a suspect had fled from Waco police into University Parks Apartments, which houses about 500 students. 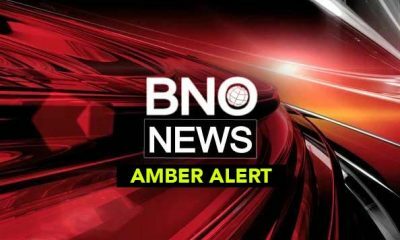 A search was continuing at 11:05 p.m..
“Baylor Alert! Dangerous Situation! Seek secure shelter immediately, away from doors and windows,” the university said in the emergency alert. There was no word on why the suspect is wanted by police.